If you’ve been following my tweets on Twitter, you’d have known that I was at Penang Island over the weekend. The interesting thing about this trip is that I have no guidance on the routes whatsoever. I just whack and find my ways to certain destinations. 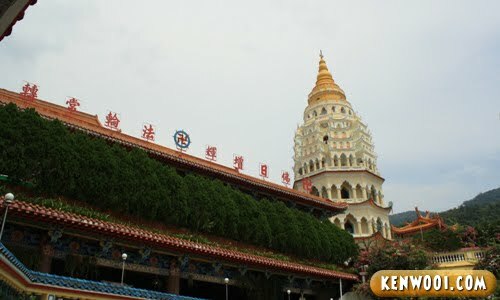 Fortunately enough, I managed to find my way to Kek Lok Si temple – a place I’ve always wanted to visit. 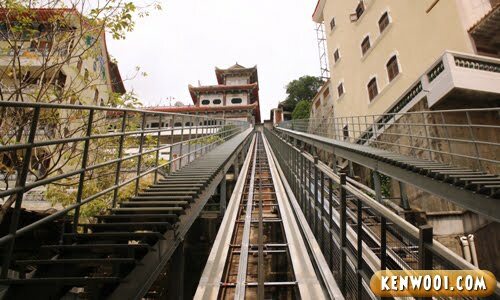 I can’t remember when was my last visit to Kek Lok Si. Perhaps when I was a little kid and that’s why I have little memories here. 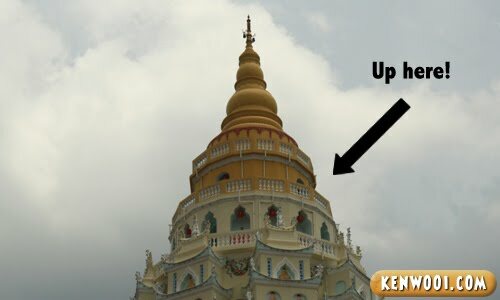 Once I reached the bottom, I noticed that the Kuan Yin statue has a brand new roof. Feeling curious, I decided to go up to have a closer look. I didn’t know that there is an inclined lift to the highest floor. Feeling more excited, I quickly made my way to the station. One way journey costs RM2.00 while 2-way journey costs RM4.00. Sounds kinda expensive but there are “All profit proceeds to the temple fund.” messages everywhere. Don’t wanna be generous also cannot. So just donate loh. Here’s the view up from inside the lift. It takes roughly 2 to 3 minutes to reach the higher station. So after reaching the top, I went out to see the statue. There used to be no roof (or you might call it a shrine), but now there’s one. Probably they’ve decided to build it after watching the Clash of the Titans. Maybe they believe in taking good care of the statue to prevent any misfortune caused by the Gods, something like this. Anyway, here are some photos taken around the area. 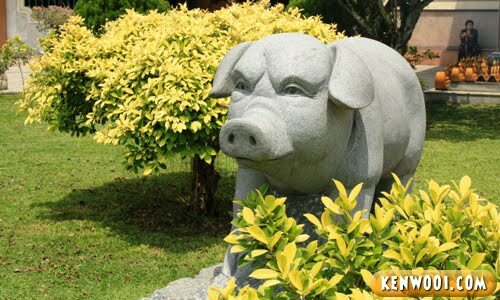 No offense to anyone, but I find this pig statue pretty cute. Look at its fierce pig face. Oink oink! Then there are other animal statues displayed on the floor. I don’t really know what they represent as some of these animals aren’t listed in the Chinese zodiac. And amusingly, I met Donald Duck and Minnie Mouse too! 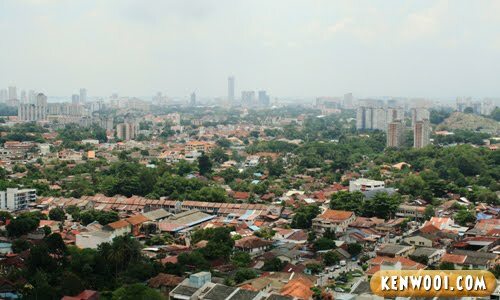 By the way, this is the view of the Penang city from the top. I’m guessing that it’ll look better at night? After that, I went to the pagoda. An entrance fee (or also known as donation) cost RM2.00 and I made it all worth by climbing up the stairs to the highest floor of the pagoda. But there’s one thing you need to know about me – I hate heights! So when I was up there at the balcony, I moved around while leaning against the wall most of the time. My feet felt weak and wobbly! wahh… rajin u travel.. nice place! 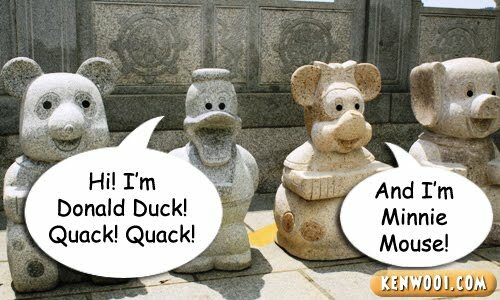 haha..funny la ada minnie mouse and donald duck in the temple. No choice but to donate? LOL..
High meh? haha :D It’s been 3 years since I last been there. Been there once many years ago. Didn’t go up… Waited at the shops while the others went. Went to the vicinity again last year for the best Penang laksa or so they say. Got lift kah? 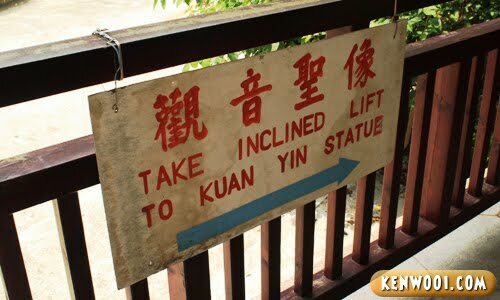 Ah…then next time, maybe I’ll go up! LOL!!! Wahh, I never been to Penang yet. *sigh. Owez wanted to go but still no time to go yet. 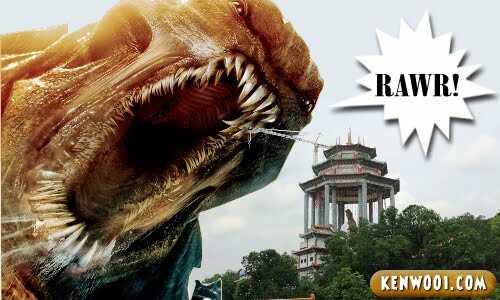 Anyways hahahahah oh man, Kraken wanna kasi pecah statue. I’m afraid of heights too. Dun look down orz. scared of height still climb all the way up… the lift reminds me of roller coaster only..
Wow, didn’t know this place was so beautiful. I should plan a roadtrip to Penang too. I heard the food there is fantastic. RM2 is cheap compare to Paris? LOL. 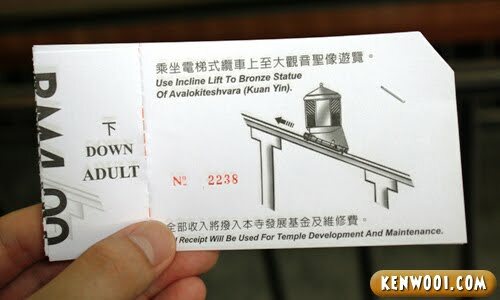 anyway is for the God heeee and the upkeeping of the temple, hi, u shd visit Seow Wan mum n she can take u around heeee? bonding. heeeee. i hv gone back to Pg sooo many time but did not go there, looks nice. ok will make it an efford to go my next trip back to Pg. Thank you for such a nice into to Penang, u did not eat any hawker food? Thank you for your lovely comment regarding my blog design. It has been hard learning how to edit it due to my lack of skill in terms of html codes. I really needed feedback to reassure myself that I am on the right track. Thanks again. wow. you back to Malaysia dy? haha i dint follow up twitter. anyway, nice picture! i never been here . but no im in penang. y dont u visit me here in usm? 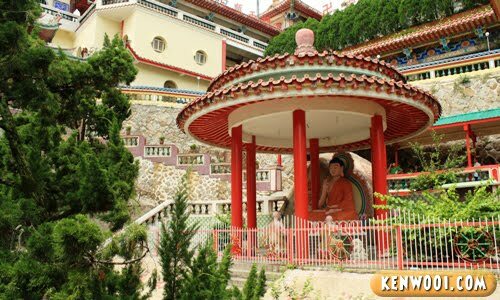 It’s a nice Pagoda, really wanted to visited there as I only have been in one Pagoda in entire of my life lol. Wah…long time didn’t visit this place dy…. Your tweets were so detailed that i could go and find you at that very time. 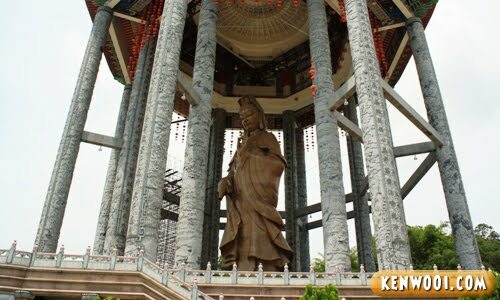 I have been here 8 months now, never been to Kek Lok Si , but i can see the new statue when i pass by that area sometimes. lol! U got height fobia? 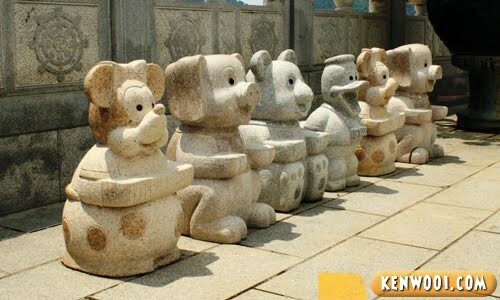 those statues are cute ^_^ ..
pengaruh barat is everywhere… ho3..
nice trip kenwooi… the incline lift just like the bukit bendera ker? seriously.. its a peaceful place.. n clean also..
a temple or any praying place should be clean you know.. I have fear of heights too and I did not shake or felt giddy when I was up there! Don’t tell me your fear of heights is worse than mine? LOL! sooooooo cooooooolll , i’ve never been to penang? LOL. 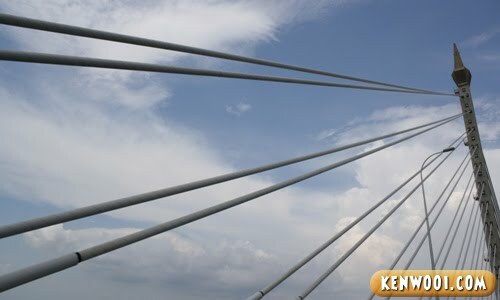 i have been 3 times to penang….i just fall in love with the NASI KANDAR. 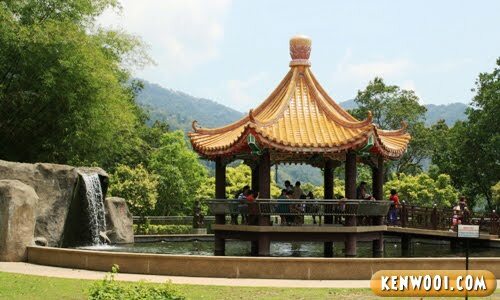 wah….long time i neber visit Kek Lok Si dy!! This brings back my childhood memories. Sigh. Never seen that pig thing, mouse nor duck before though. oh… is that the new statue? i wanted to go to penang too!! Exploring and counter ur fear I can say quite a tempting experience.. I have not been to Kek Lok Si for like more than 5 years now. Need to go back to have a look sometime, hehe. LOL, this kek lok si just behind my house hahaha tapi i tak pernah pergi sampai atas lagi heeee. since my last visit errh! 20yrs ago.Hah!hah! oooo… there is another lift train like that, as the recent one that has been closed? it sure is…..nice pics btw :)!